Return to Pandora. A reluctant hero. An epic journey. A choice between the life he left behind and the incredible new world he’s learned to call home. 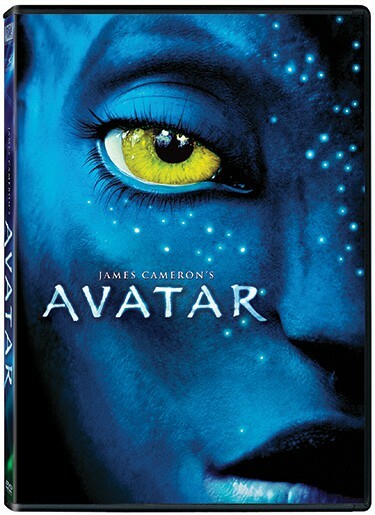 Return to James Cameron’s AVATAR- the greatest adventure of all time. AVATAR is simply amazing! I haven’t seen a movie this good in a long time. I am not surprised that it is breaking box office records and that people are in love with this movie. I was literally blown away. I wasn’t sure if I believed all the hype and figured that everyone was over exaggerating when they said how wonderful this movie is, but now that I have seen the movie, I know they were telling the truth. This is a movie that will satisfy people who like special effects, action, adventure, and romance as it is the perfect mixture of all these elements. AVATAR is perfect for the whole family to watch together. John and I were ENTHRALLED watching it. My eyes were glued to the screen which is a rare occasion since I am usually stopping and starting movies throughout. AVATAR was a long one, but it didn’t seem that way. Sigourney Weaver is in the movie and she is fabulous! I have been a fan of hers since her Ghostbuster days. She plays the role of the head scientist studying the planet of Pandora. This is a movie unlike any other and it made me both laugh and cry. I wouldn’t be surprised if it wins an Oscar, it is just that good. If you haven’t seen it, it is worth buying at the store because its a movie you will be able to enjoy over and over again. I’m a new follower from Follow Me Back Tuesday. I hope you’ll come check me out at PS Mom Reviews and follow me too! .-= Sarah – PS Mom Reviews´s last blog ..Follow Me Back Tuesday! =-. .-= Sara Broers´s last blog ..Another great conversation with my 15 year old son =-. I really liked Avatar as well! We saw it in 3D and it was just amazing. .-= Angela D.´s last blog ..TSS: Moving Week =-. I was extremely hesitant about seeing Avatar because as you said everyone hyped it and I have found when that happens it detracts severely from the movie. But this was not the case with Avatar..I adored the movie. I was hoping for a great story and Hollywood ending and it did not disappoint. Nice review by the way, cheers! .-= Kimmy´s last blog ..Morsel Monday: Most Expensive Set of Wheels =-. I just watched Avatar this weekend. I must agree that it was spectacular! It was nominated for numerous academy awards. It missed out on the big categories like best director and best picture, but the movie still won three awards. I am the only one that didn’t like it. I actually had to stop watching it, there was something about the animation that gave me a headache. I just didn’t think it was that good, that it was worth getting a migraine over. My husband and I saw it in 3D Imax, and I was like you, skeptical. I figured the hype would make it end up being a big disappointment, but I also thought I would hate it. I went to it reluctantly, expecting to be bored or want to leave, and wound up glued to the screen, even with the doofy 3D glasses on. Definitely one of the best movies I’ve ever seen. .-= Tracy´s last blog ..Tropical Traditions Virgin Coconut Oil Review and a Giveaway =-. BTW: Thank you for actually checking out my blog. It is so refreshing to follow someone and actually have them follow you back:) Look forward to your future posts. .-= ashley rowell´s last blog ..Tuesday Tag -Along =-. My wife and I just watched Avatar over Memorial Day weekend and I absolutely agree with your accessment of the film. I was absolutely ready to hate it. In some ways I wanted to hate it for all the hype it got, but simply could not. If I were to give it one fault, it would be that the film was fairly predictable. Yet this is such a minor fault imo. We were entranced not only with the story lines, but the pure visual power of this film. Now we both wish we had seen it in 3D, and perhaps we’ll try to just so we can compare. I haven’t seen it yet,I can’t wait to! Thanks for the review! .-= Peggy Gorman´s last blog ..Remember Our Fallen =-.